Spring is around the corner, and it won’t be long before it’s prom and graduation seasons for many high schoolers. Rites of passage for many, these are times for teens to celebrate, but can also be times of poor decision-making, especially when vehicles are involved. The National Highway Traffic Safety Administration (NHTSA) reports that 2,524 teen drivers and passengers were killed and 177,000 were injured in 2013. Twenty-seven percent of these fatalities occurred between April and June, according to the Insurance Institute for Highway Safety (IIHS). 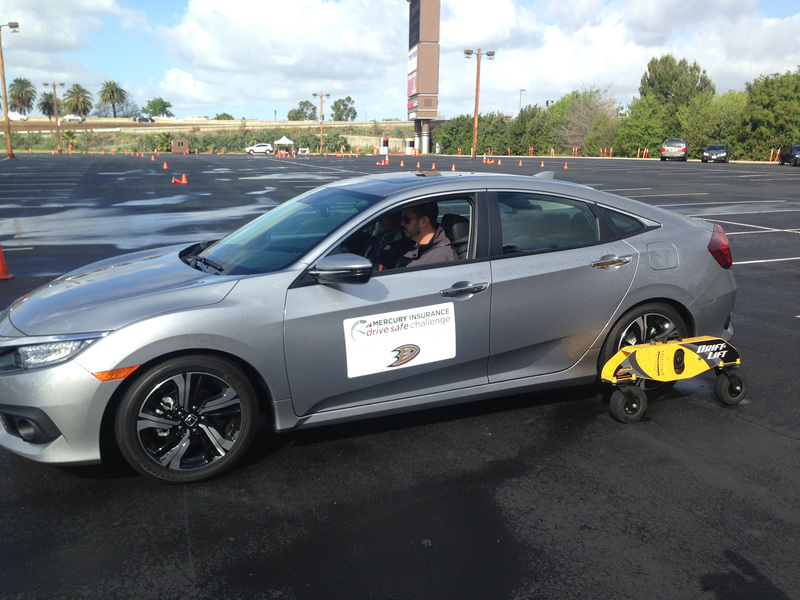 The Mercury Insurance Drive Safe Challenge kicked off with a free defensive driving program, which included hands-on driving skills training and classroom material. An interactive website provides teens with detailed instruction, as well as gives parents the tools to shape responsible driving behavior. 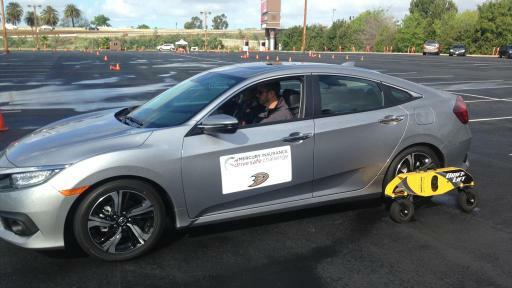 Mercury partnered with the Anaheim Ducks and the California Highway Patrol (CHP) to host its first Mercury Insurance Drive Safe Challenge ride-and-drive event, where students learned collision avoidance and car-handling maneuvers from professional driving instructors, and participated in classroom activities. 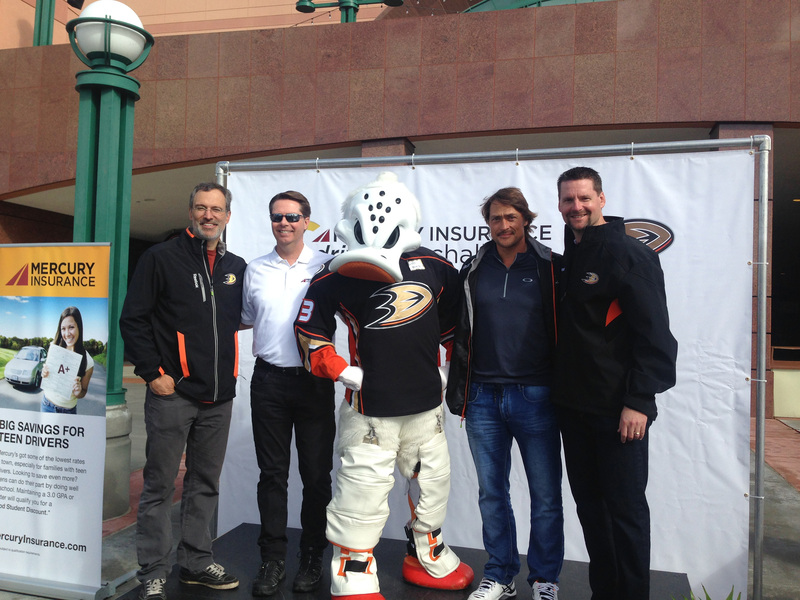 They also got to meet former Ducks stars Teemu Selänne and Scott Niedermayer. 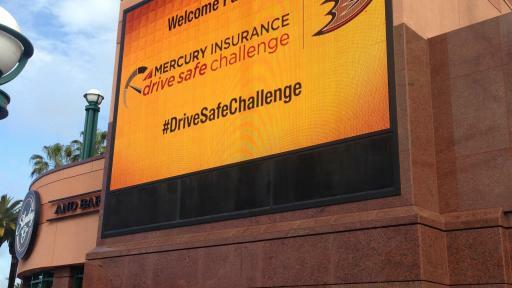 Visitors to http://drivesafe.mercuryinsurance.com will find a wealth of information and tools, from teen driving statistics, car-buying and insurance tips, videos and more. 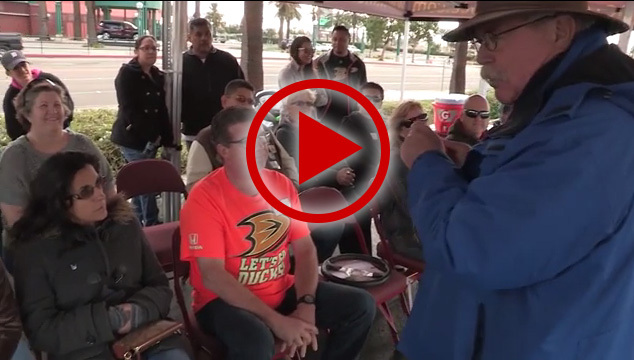 Additionally, parents will find ideas for how to initiate conversations with their teens about driving responsibly – what’s expected after they get their license, when they can drive and the circumstances under which driving privileges would be lost. There’s also a contract both parents and teens can sign. 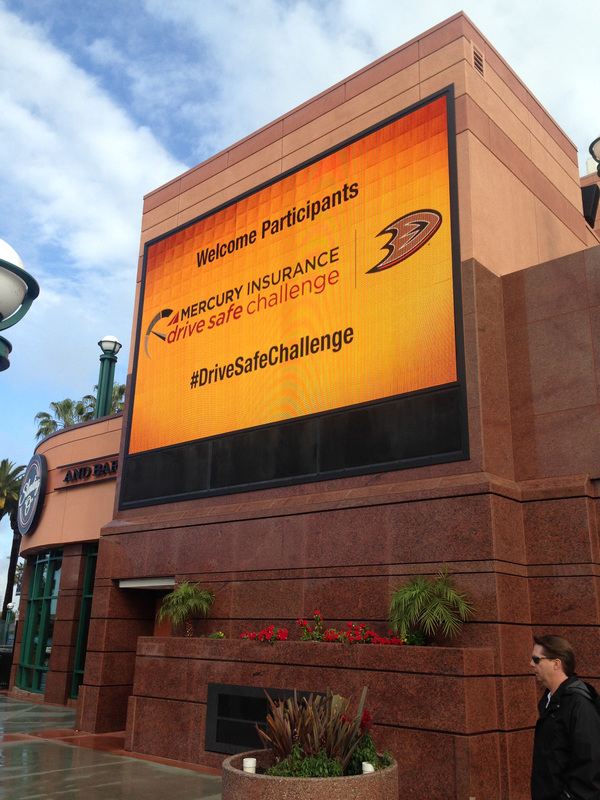 The Mercury Insurance Drive Safe Challenge ride-and-drive event was held on March 6, 2016 at Honda Center in Anaheim from 9 a.m. to 3 p.m. 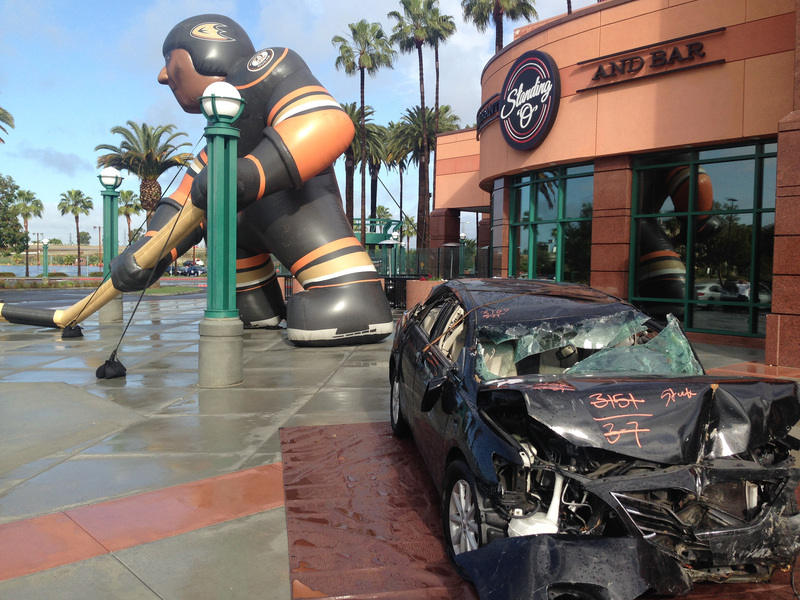 The Anaheim Ducks enter their 23rd season for the current 2015-16 National Hockey League campaign. The club was born in 1992 and played its first-ever game on Oct. 8, 1993 at Honda Center (then Arrowhead Pond of Anaheim). One of 30 NHL franchises located throughout the United States and Canada, the Ducks have played to over 90% capacity crowds in their history at the 17,174-seat Honda Center. 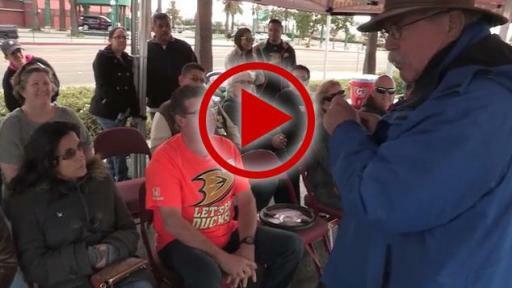 On June 20, 2005, the Ducks franchise was purchased by Orange County residents Henry and Susan Samueli. 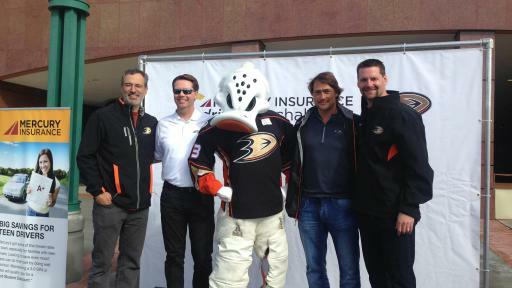 By securing the first Stanley Cup championship in franchise history in 2007, the club also became the first team from California to win hockey’s ultimate prize. The Ducks have reached the Conference Finals four times (2003, 2006, 2007 & 2015) and the Stanley Cup Final twice (2003 & 2007). The club clinched its third consecutive Pacific Division title and fourth in franchise history (2007, 2013, 2014, & 2015) last season. 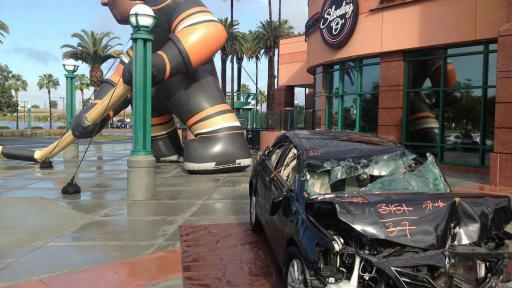 Anaheim has qualified for the playoffs eight times in the last 10 campaigns.